Toronto has an ambitious plan for its waterfront, and no address will be more in-demand than the towers on the shore line. Count Pier 27 among them. The sprawling tower has among the city’s most exclusive addresses thanks to its exclusive view of Lake Ontario, not to mention its ease of access to myriad city amenities, including the Martin Goodman Trail, St. Lawrence Market, major sporting venues, and more. 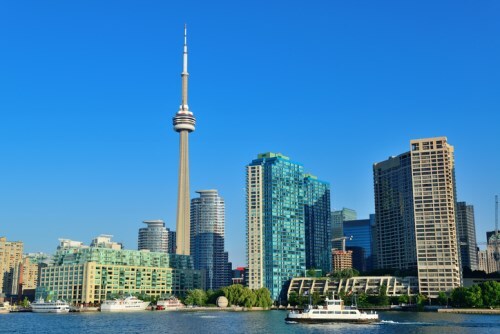 The waterfront has one of Toronto’s strongest rental markets, and the demand is expected to get hotter when the entire neighbourhood’s build-out is complete over the next couple of decades. Unquestionably, there’s investor opportunity—and it’s partly abetted by the fact that Pier 27 is primarily driven by end-users. Crignano says that Pier 27 has more end users than recent Cityzen projects, and that’s good news for investor-landlords. With fewer transient residents, units retain more value over time. Internationally-renowned sculptor and artist Alice Aycock also unveiled her first Canadian art installation called A Series of Whirlpool Manoeuvres for Pier 27, composed of Maelstrom and Toronto Twister—two installations representing different facets of the city.